To those of you that stopped by yesterday, I apologize that I had no post/vlog as I'd intended. I've been battling a nasty bug, but even so I was up until 3 AM working on the vlog, In the end, technical difficulties got the best of me. And just as I was starting to feel better, I've had a bit of a relapse. Still, I wanted to post my review of Across the Universe, as it was released this week and because it's awesome, but my apologies in advance if I flu-ramble. I will try not to infect you with my cooties. 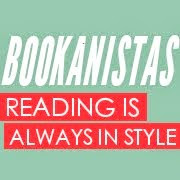 Also, be sure to stop by and see what the other Bookanistas are highlighting this week! Goodreads summary: Seventeen-year-old Amy joins her parents as frozen cargo aboard the vast spaceship Godspeed and expects to awaken on a new planet, three hundred years in the future. Never could she have known that her frozen slumber would come to an end fifty years too soon and that she would be thrust into the brave new world of a spaceship that lives by its own rules. I picked up ACROSS THE UNIVERSE thinking that it would be a sci fi novel. And while it was--complete with all sorts of cool futuristic spacey technology, I discovered it was so much more than that. ACROSS THE UNIVERSE is like STAR TREK meets THE GIVER bound together by a delicious romance (and lets face it, all the best books will have a delicious romance). Already, I know this will be one of the best books of 2011 for me. I read this book straight through in one day without stopping. Every chapter had me by the throat. While AtU is set so far in the future, on a spaceship with cryogenically frozen bodies no less, the learning curve is actually not that huge. Beth does some really cool things with language, as well as with structure that really helps to pull you into this futuristic world without you even realizing it, weaving in details of this world and its history into the narrative in a masterful, unnoticeable way. For writers, there's a lot to be learned in the way of technique. For readers, it's like taking a trip aboard the Godspeed, albeit one full of secrets and lies. The mystery is one of the most exciting aspects of the book, as Elder and Amy uncover clues bringing them closer to answers--and to the murderer. But AtU is more than just a mere mystery, or a mere dystopian--more, even, than a simple combination of genres. It's a powerful book that says so much about right and wrong and that muddy space in between. It questions what it means to be human, to love, and to fight tooth and nail to protect that which you love. It highlights issues of leadership, war, and "true" history. AtU offers the reader so much to think about without being preachy or obnoxious, asking readers to come up with their own conclusions about the choices and sacrifices they would make to preserve the things most important to them. ACROSS THE UNIVERSE is a book rich with complex emotions and conflict, but fast paced and gripping. You won't be able to put it down. I will make a tremendous effort to post that vlog tomorrow! I've read the first chapter, and it's wonderful. Glad to see the whole book is just as good. Yay Beth! Yay AtU! Yay! Boo flu! Boo technical difficulties! Boo! Based on the Bookanistas reviews of this book, I know it is a great read. I'm looking forward to it. Excellent review. This book is actually why I am so pissed about the weather here. I had planned to pick it up on Tuesday but the local B&N has been closed. Luckily they had a big part of it online, so I'm working on that. Great review! But, man, I wish my copy would hurry up and get here. I want to read it!! And, I hope you feel better! SO happy this book is getting all this press, because it TOTALLY deserves it! Hurray Beth!! It was an AWESOME novel!!! I LOVED this book SO much!! Hope you get feeling better ASAP! Still reading, but I love, love, love ATU so far. Seriously, everything about about it, especially, as you said, the way it makes you think about what it means to be human. I'm reading it now and loving it so far! I loved ATU! Loved it! Feel better, Carol. Great review! I'm looking forward to this! Sorry you're sick, lady! I'd say, take care of yourself and get well *first* -- vlog = way way way lower on the priority scale! its great sci fi for kids! Man, your review is what I wish I could've written. Hope you feel better soon! I hope you feel better soon. Nasty bugs are evil, especially when they show up uninvited and refuse to leave. They're like squatters. Great review, this book sounds like a lot of fun and I'm always up for some fun! I've started reading ACROSS THE UNIVERSE and am really liking it so far. Hope you're feeling better! I'm really looking forward to reading Across the Universe since there's so many raving reviews for it. I really enjoyed Across the Universe! Wonderful review. I've been meaning to read this. It sounds great and now I want to read it even more. Great review!